← Tzitzits in a snap? This is a pic of the mount taken from Yair David on our recent trip. 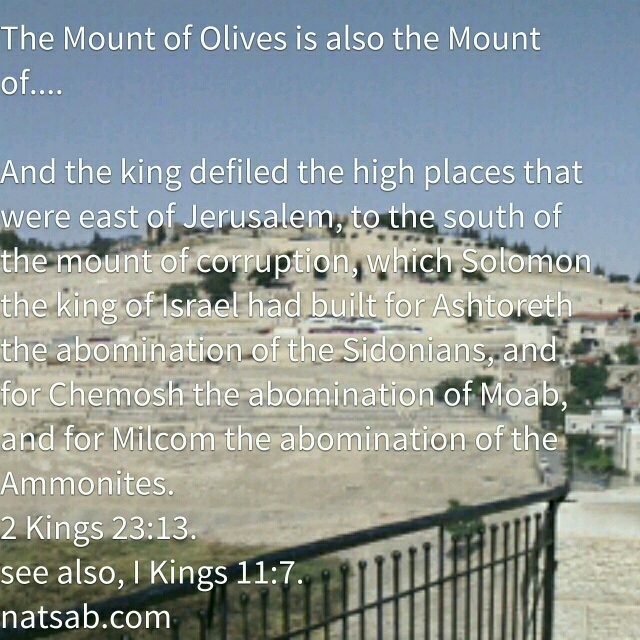 Amazing that we, through NT lenses, see the mount with reverence, yet surely, Yeshua was intimately familiar with the abominations committed thereon. It demonstrates that in Him everything is redeemable. This entry was posted in Visual Scripture and tagged ashtoreth, Easter, molech, pagan worship, travel, Warren Bowles. Bookmark the permalink.